After a couple lean years, Mazda is launching a double-barreled attack on two of the auto industry’s most competitive segments for the 2014 model year. The left-hand jab comes in the form of a more-powerful version of its CX-5 compact SUV. What the company hopes will be the right haymaker is its redesigned 6 midsize sedan. Let’s touch on the 2014 Mazda CX-5. Introduced for the 2013 model year, this compact SUV marked the brand’s first application of its SKYACTIV suite of technologies. SKYACTIV is Mazda’s holistic approach to improving fuel efficiency. 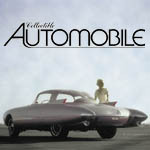 Every part of the vehicle, from the engine to the transmission and body structure, has been reworked to provide better gas mileage while retaining the fun-to-drive character that’s been a brand hallmark. 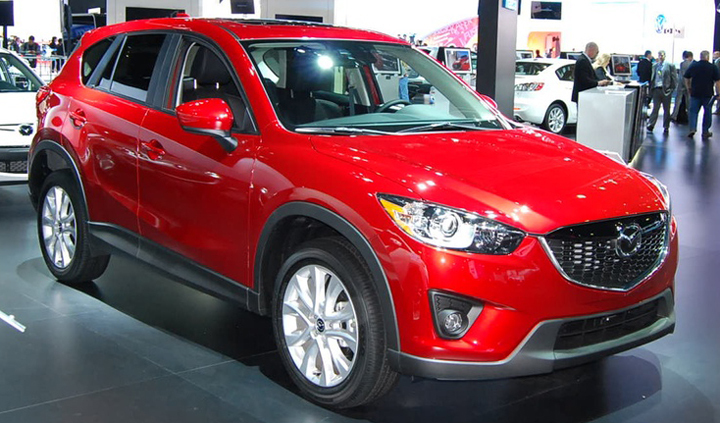 CX-5 delivers on these promises while returning outstanding-for-the-class fuel economy. It’s for these reasons that we named this compact SUV a Consumer Guide Best Buy. For 2014, the entry-level CX-5 Sport will retain the 2013’s 155-horsepower 2.0-liter 4-cylinder engine and choice of a 6-speed manual or 6-speed automatic transmission. The volume Touring and top-line Grand Touring will receive a new 2.5-liter 4-cylinder engine with 184 horsepower. The sole transmission for these models is a 6-speed automatic. Despite the added power, EPA-estimated fuel economy is still impressive for the class: 25 mpg city/32 mpg highway with front-wheel drive and 24/30 with the optional all-wheel drive. 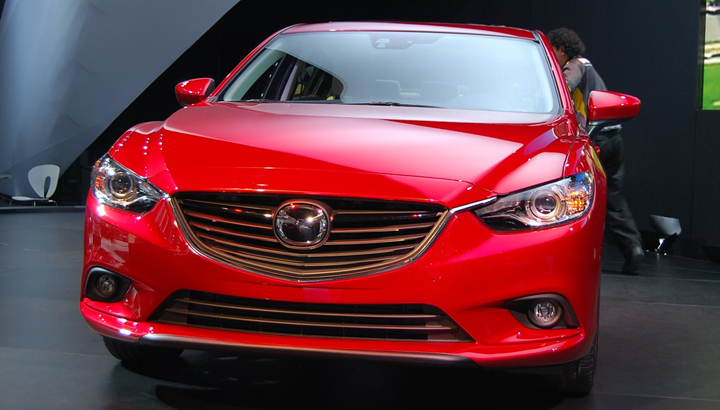 Though not the first time this vehicle is making an appearance at a major auto show, Los Angeles marks the North American debut of the redesigned 2014 Mazda 6 (or Mazda Mazda6 to give it its “official” title). The 6’s exterior design is probably the boldest expression of the company’s admittedly polarizing KODO (soul of motion) theme. What might not be so polarizing is what’s under the 6’s hood. One option is the 184-horsepower 2.5-liter 4-cylinder engine mentioned above. The other is a 2.2-liter turbodiesel 4-cylinder. While exact power output was not available as of this writing, we expect it to be in the neighborhood of 160 horsepower and a ground-shaking 300 pound-feet of torque. The engine, dubbed SKYACTIV-D, uses a low 14:1 compression ratio, which results in cleaner, more complete combustion. This, in turn, leads to a greater reduction in toxic soot and nitrogen oxides. As such, SKYACTIV-D requires no complex (and costly) exhaust after-treatment system in order to meet stringent emission standards. This engine will also pair with a manual or automatic transmission. Both the CX-5 and 6 will be available with a new safety feature the company calls Smart City Brake Support. This system is similar in concept to Volvo’s City Safety. A sensor mounted adjacent to the inside rearview mirror detects objects and can automatically apply the brakes at speeds less than 20 mph if the driver fails to take appropriate action to avoid the collision. Pricing for the 2014 Mazda CX-5 and gasoline-powered versions of the 2014 Mazda 6 will be announced when both vehicles go on sale in January 2013. The diesel 6 should hit dealers in mid-2013. The new 2.5-liter engine looks like it will more than address our biggest complaint about the CX-5 (lack of power) without a significant impact on its stellar fuel-economy ratings. About 18 months ago, we drove prototype vehicles equipped with the SKYACTIV-D engine. It sounded a bit more “diesely” than similar motors from German automakers, but its strong, smooth power delivery left a very positive initial impression. We have to believe Mazda’s engineers have used the intervening time to work out any kinks. 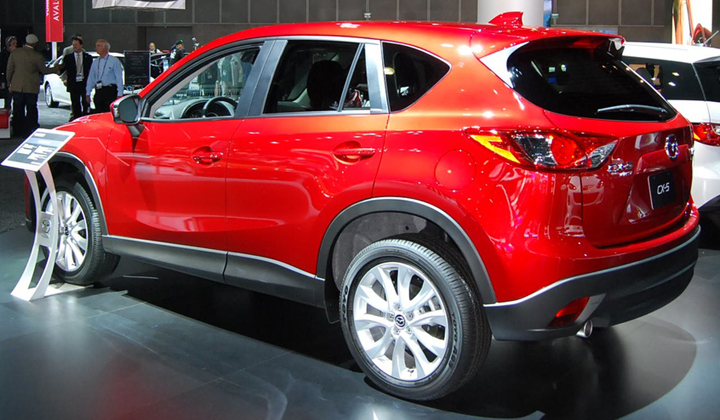 If the 2014 6 is half as good as the CX-5, Mazda will have another winner on its hands. Written by: Ed Piotrowski on November 29, 2012.on March 22, 2019.